Plot Synopsis: The crew find themselves on an alien world in an alien forest where the vegetation has turned to stone. 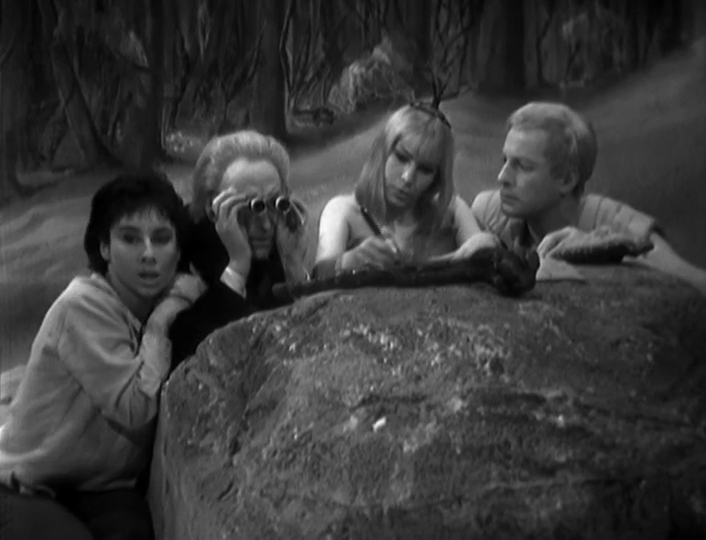 While his companions wish to leave and search for home, The Doctor is insistent they travel to the city. 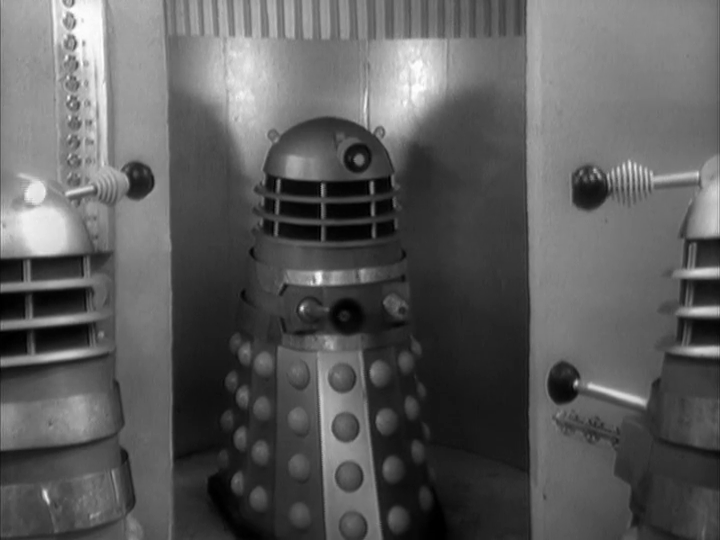 There they encounter The Daleks, a species of mutated organic beings encased in a metal box. 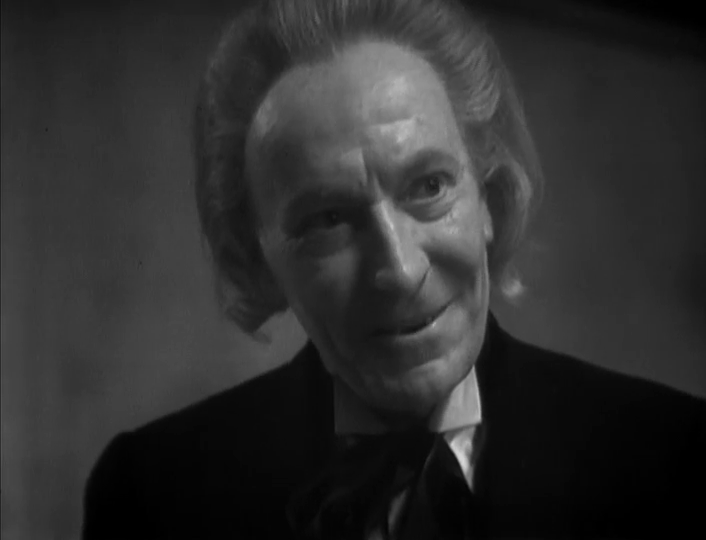 Only on story 2 and we already see the most iconic of Doctor Who baddies. The first episode is filled mostly with exposition and positioning the characters where they need to go. The audience learns the planet is flooded with radiation, while the characters are oblivious. We see The Doctor sabotage the TARDIS to convince the companions to venture into the city to find unnecessary mercury for the TARDIS’s fluid link. The split up, obviously, and Barbara encounters a menacing plunger approaching her. “The Daleks” at its heart is the story of a war torn planet. 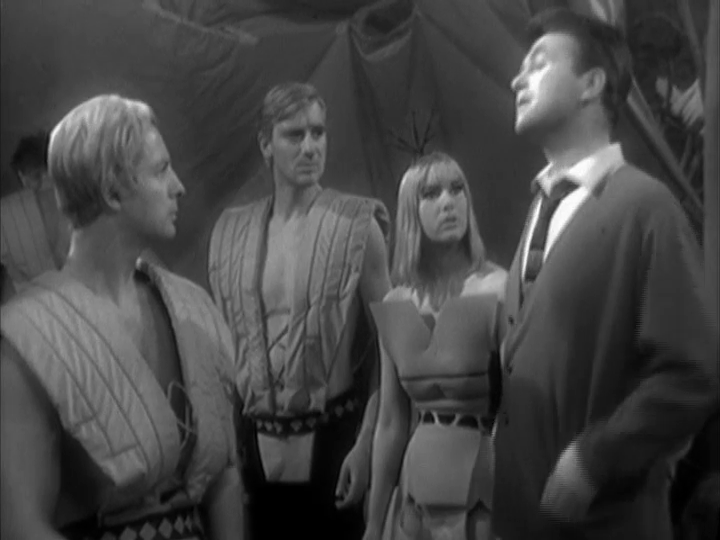 The Thals are living in a petrified forest while The Daleks, encased in their living metal-tombs live in the city. The Daleks are trying to rid the world of the the Thals, but don’t know what has happened to them. It’s pretty standard 1960s story about the horrible aftermath of a nuclear war. These robotic beings are the soviets while the Thals who look like blonde adonises are the Great British public. The cliffhanger at the end of episode two has to be the best. Susan is about to leave the TARDIS, and gets scared of the lightning. During episode 4, The Doctor and companions have escaped the Daleks’ prison, they rescued the Thals from a Dalek trap. While relaxing and having a victory party with the Thals, Ian decides that it’s time to lecture them. Ian is of the belief that the Thals need to go to war with the Daleks. Ian seems to believe the Daleks will escape their confinement to the city and pursue an all-out war on the Thals. Even three years later, I don’t think this would have happened. Ian is suggesting that the Thals take the preemptive strike. While this is before flower power, it seems unnerving and out of place for the hero of the story to tell a group of people living agricultural lives to go to war. Ian is literally looking down his nose at the “primitive” people with his British classist attitudes. The weird thing is Ian is waxing philosophical until the revelation that the fluid link was left in the Dalek stronghold. Thus, the TARDIS cannot take off. At that point he has to convince the reluctant Thals to join him and fight. Honestly a small party to steal it back would be better, instead they pursue all-out war, something they’d be guaranteed to lose. This episode makes one think that the Daleks are a more interesting enemy than they become. Eventually they become plainly focused on conquering the universe and destroying all life outside of their own. It’ll be interesting to watch this evolution.